Last year in November, Nintendo released a mini version of the old NES. And the world went mad trying to get their hands on this precious gem. And now, 5 months later, I wake up to find out that Nintendo has stopped producing their little gold mine. 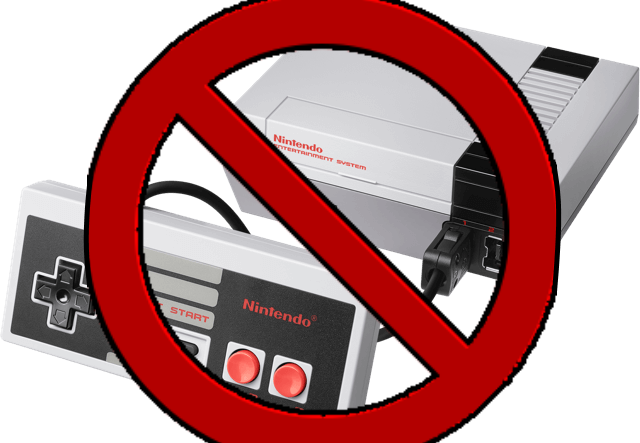 In the following post, I’m going to provide my thoughts on why the NES Classic was discontinued. 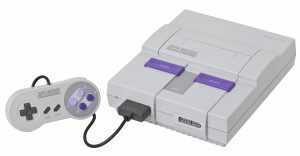 $ 30.955 BILLION … over 200 times more than the new NES! Mind you, that amount was accrued over two decades, so you have to give them some credit. But if Nintendo continued to sell the NES classic edition moving forward, how much more could they make? The NES unit is literally a piece of plastic with a miniature computer inside. It shouldn’t have been expensive to make. At work, I met a guy who shared my love of the Legend of Zelda. The dead giveaway was the Hylian Shield tattooed on his forearm. After a few words and some after-work drinks, I had a gamer buddy. We Nintendo fans are a peculiar bunch. Where Xbox and PlayStation fans thrive on competitive online gaming and big budget games, we prefer the classic franchises that date a few decades back. We are among the most dedicated fans of Nintendo, and I wouldn’t be surprised if our passion surpasses that of other big name companies! Let’s not forget that Robin Williams named his beloved daughter after one of his favorite game series. To put it simply, the NES Classic edition is a love letter. To all of the fans who grew up with the system. To make this product a mainstream addition would likely tarnish that letter with a few sloppy seconds. Now that the NES Classic Edition is no longer being sold on shelves, it is nothing more than that of a collector’s item. In a world filled with people reminiscing about nostalgia and the good old games from the old days, it’s no surprise how well received the NES was. However, Nintendo just launched its new console, the Nintendo Switch. This is the next big thing in store for the next few years. Let’s be real, folks. Consoles are expensive to own, especially when you start buying games. If people started buying the NES Classic, and playing the games, no one would pay attention to the Switch. There’s a reason why you don’t often see a company releasing multiple products that conflict with a consumer’s interests. Why buy another console when you can just download the classics on your Wii? Sure, you could argue that you get 30 games for the price of $60. But considering the crazy sales, it may have well been Black Friday all over again: a few happy fans, and millions more of pissed off fans. The Virtual Console is Nintendo’s answer to “how do I play the old games if I don’t have the original copy?” Think of it as a licensed emulator which lets you enjoy your old games on the TV. Sit on that for a while… Nintendo probably had a secret motive in place for the NES, and that was drumming up hype for the classic games. Based on the sales figures, it goes without saying that the NES was a massive hit. For now, all we have is the original console, if you still have yours. Or the Virtual Console. If you are one of the few dedicated fans who feel the need to own a piece of history, the only way you are going to find one is from Amazon, and it might cost a pretty penny. I’ve got a better suggestion. Use the Virtual Console. It’s pretty much the Steam of Nintendo games. You’ll have a much better selection of games, plus the other platforms by Nintendo. To help you get started on building your library, I suggest getting a Nintendo eShop Gift Card. It’s a quick and easy to redeem on your account, plus you can use it on the Wii U and the 3DS! The original games are to much fun! It allows me to keep up with my gamer sons who are way to good at the new stuff. I am excited about the virtual console.